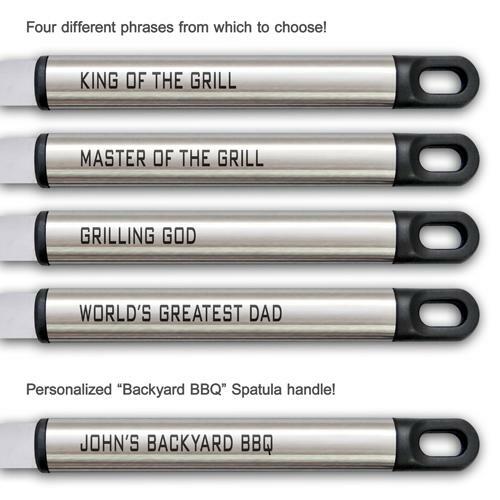 It's incredible what a difference the right tools can make, especially when grilling! 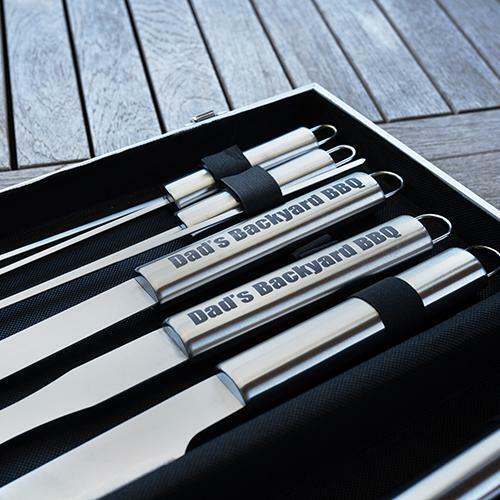 Give the gift they'll enjoy, and use, all year long with our personalized BBQ Tool Set. This durable, stainless steel set holds 8 essential grilling tools - including a spatula (with knife edge), tongs, steak fork, basting brush and 4 steel skewers. 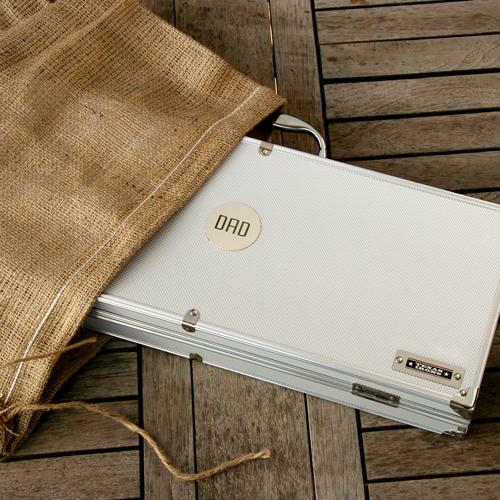 All eight tools are neatly displayed in a beautiful aluminum carrying case, personalized with up to three letters of your choice. Plus, each tool is dishwasher safe and built to last. 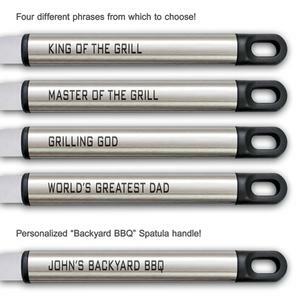 Simply select a phrase for the basting brush and steak fork from the list of choices, then add a name or phrase for the spatula (e.g. 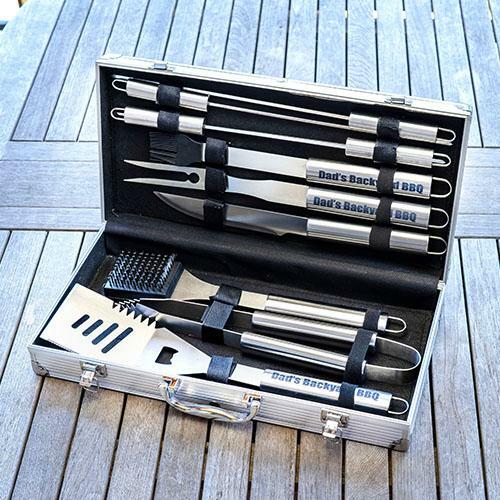 John's Backyard BBQ). Please double check your personalization as we are not responsible for misspellings or typos.